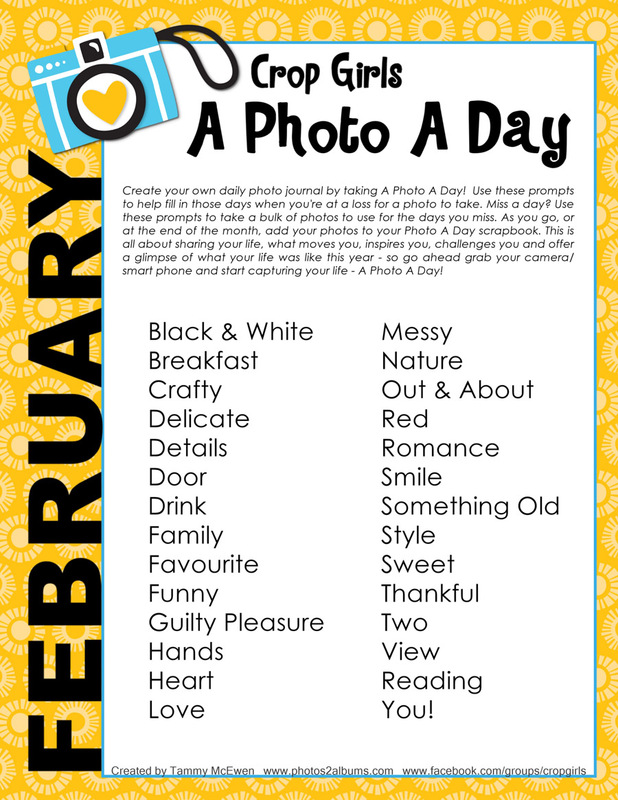 Create your own daily photo journal by taking A Photo A Day! How is your February Photo A Day challenge? Haven’t started, well today is a good day to start! Use these prompts to help fill in those days when you’re at a loss for a photo to take. Miss a day? Use these prompts to take a bulk of photos to use for the days you miss. As you go, or at the end of the month, add your photos to your Photo A Day scrapbook. This is all about sharing your life, what moves you, inspires you, challenges you and offer a glimpse of what your life was like this year – so go ahead grab your camera/smartphone and start capturing your life – A Photo A Day!